Learn about conventional and alternative compensation plans for self-storage, including analytic and personality-analysis tools that will help you develop the perfect incentive program. When it comes to manager compensation, self-storage owners seem to want an instant “in the can” plan. But there's no one-size-fits-all solution when it comes to industry salaries. Employee compensation might differ based on a variety of factors: business location, facility size, manager skill level and more. 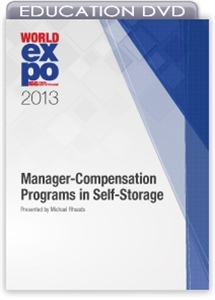 This seminar focuses on conventional and alternative compensation plans for self-storage staff. Our presenter provides specific examples as well as discusses analytic and personality-analysis tools that will help you develop the perfect incentive program for your specific operation.